Work for Oracle Workforce Rewards Cloud? "Good product poor customer service"
Oracle HCM concept is great because we can use this as the primary source to management HCM functions. Overall, the software delivers what we expect from a HCM software. Lack of customer support and flexibility to work with customer's need. 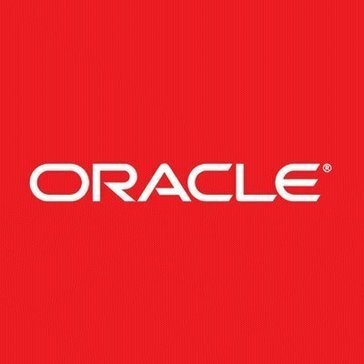 We had issues with Oracle not delivering on system refresh in a timely manner or patch being delayed. Lack of communication and general feeling that Oracle doesn't care much about their clients. The functionality are not integrated as seamless as we would like and still struggles with getting the right configuration to fit our needs. "Job just switched to this program"
It lays out everything with nice colors and icons. I generally like Oracle products. They are simple and easy to use. The company has been around since the 70's so I feel like they know what they're doing. The best feature is the pure size of implementation with this program. It can support a lot of employees. The biggest thing I hate about this program is always having to tell Firefox that I want to use Flash. Use this software if you like your employees having the ability to manage their payroll items online and not tie up a person. I am solving my needs of being in charge of my payroll. System is easy to use and has all necessary payroll items for employees. A great one stop shop for all payroll needs! This application is great and I have had no issue with it. I like the system, it is technically friendly and I would recommend to my colleagues. I have no recommendations, the application is easy to use, and provides all details that I require to gain my payroll information. I am able to check previous and current paystubs in real time. The ease of being able to retrieve previous and current stubs has provided the best experience possible. "Very bumpy conversion from old system to Iracle HCM"
Provide good training and quick reference guides to end users, provide better explanations of how information flows into Oracle from other systems. "Very detailed and easy to use "
There are lots of different options to get the job done. From payroll to accounts payable it is easy for different departments to learn and use this system. Sometimes there can be too much information and too many choices and it can Become overwhelming. I think it would be helpful if there was a tip/ help box. If there is ever an issue, it is nice to know that all the different departments in our office uses the same system and can help one another. "Great product for assisting managers work more efficiently." Oracle Workforce has robust reports that allow my managers to manage their workforce in an efficient way. The reports have cut the time needed to manager compensation and other pay needs. Do to the number of employees and high turnover we experience cause the software to slow down and take time to run reports. Create a manager dashboard that housed the most used reports for quick access. The is the best solution for managers to efficient use reports to manage their staff. One of the most flexible and logical comepensation management tool out there. Easy to implement, very robust and extremely user friendly. With the R13 upgrade, navigating between plans are a bit less intuitive than before. As a system integrators we haven't come across a compnesation requirement that WFC cannot solve. It handles anything from your typical merit increases to complex bonus calculations and equity distribution. "One stop shop for all of your HR needs"
All of the resources are there in one spot. Benefits, payroll and so much more. The functions do not communicate with each other very well. Also, it is not easy getting support for it. I can view payroll information and enroll in benefits in one place. There is not worry about hardware issue. Not need to call our DBA who hardly help us anyway. Once you learn the system it is a pretty easy platform to work with; there are a lot of features to accommodate business needs as well. It is not easy to skip around, and if a step is missed the platform will clear or require the user to start over. Information is not saved automatically either. Student and employee tracking, payroll, HR, accounting, and a few others. "PeopleSoft HR and PeopleSoft Financials"
Ensure that whatever others systems you use can interact with it or capture the data, at the very least. Benefits of using the system for payroll and benefits are outstanding. This software is extremely user friendly. I have worked with other payroll softwares but they can not compare to Oracle. This software truly makes payroll a breeze. I do not dislike anything. This software is amazing. Payroll is much easier to navigate. Learning about Oracle Workforce Rewards Cloud? * We monitor all Oracle Workforce Rewards Cloud reviews to prevent fraudulent reviews and keep review quality high. We do not post reviews by company employees or direct competitors. Validated reviews require the user to submit a screenshot of the product containing their user ID, in order to verify a user is an actual user of the product.